HomeTowne Studios Kansas City - Independence, MO features all the essentials you want in an extended stay at a price you will love. Our 120 studios will make you feel at home. All HomeTowne Studios by Red Roof properties feature kitchenettes with full-sized refrigerators, FREE in-room Wi-Fi, HD flat-screen TVs with cable, weekly housekeeping and more. Stay one night or many and discover our flexible daily, weekly and monthly rates. 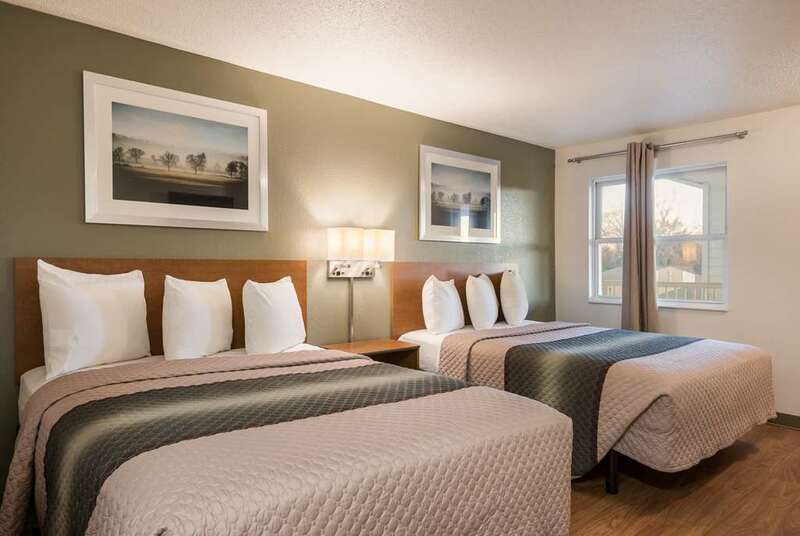 Our extended stay hotel in Independence near Kansas City is just a short walk or drive to convenient restaurant options like Big Boy, Chick-fil-A, First Watch, and much more. Get all your essentials at nearby Walmart, Target, Walgreens, and more. Catch a movie at AMC Independence Commons 20 or do some shopping at Independence Commons. Near Kansas City Zoo, Union Station & Kauffman Stadium. Our extended stay hotel in Independence near Kansas City is just a short walk or drive to convenient restaurant options like Big Boy, Chick-fil-A, First Watch, and much more. Get all your essentials at nearby Walmart, Target, Walgreens, and more. Catch a movie at AMC Independence Commons 20 or do some shopping at Independence Commons. Near Kansas City Zoo, Union Station & Kauffman Stadium.